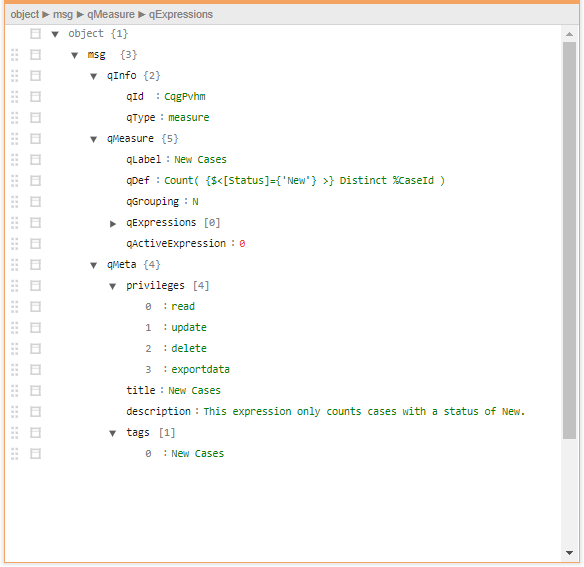 This post, Qlik sense enigma js example – Get Definition of App Objects, is part of the Qlik sense Enigma.js Example Series. This post will explain how to get the definition and other details of a given object. The above posts will help you get the basic setup, list all the apps in the qlik sense server, open a desired app and list all the master measures, dimensions, visualization, variables and sheets. The details of a master measure can be retrieved using the getMeasure and getLayout function. Using the method illustrated above for Master Measures, the routes are setup for dimensions and other components. 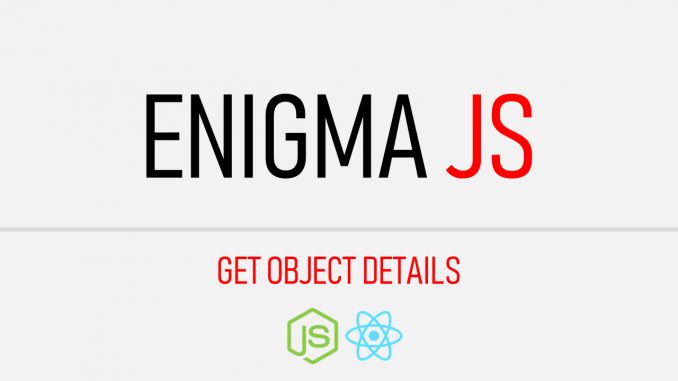 For Dimensions, GetDimension function of enigma.js is used. For Sheets and Master Visualizations, GetObject function of enigma.js is used. Unitl now, the ReactJS Client has one single component QMeasures to display the master measures details fetched using getMeasures api of the server. Now we will introduce another component QMeasure which the QMeasures will call for each measures in the list. The QMeasure component will fetch the additional details of the measure. The QMeasure component will display the definition of the measure. But it can be used to display any details from the response JSON shown above. Using the method illustrated above, the details of Sheets, Master Dimensions and Master Visualizations are fetched.